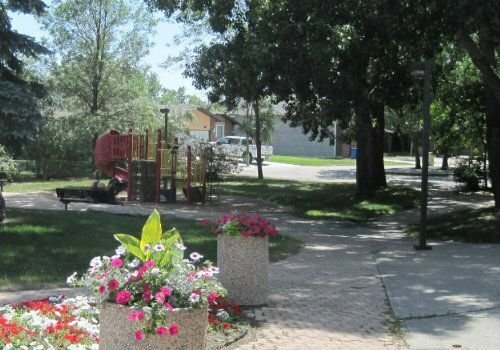 Wood Meadows is a quiet peaceful neighbourhood nestled in the east end of Regina. It is located east of Prince of Wales Drive, south of Arens Road, west of The Pilot Butte Pathway and north of Truesdale Drive. The family friendly Wood Meadows real estate features crescents and cul-de-sac style streets. This type of urban plan creates a safe place for you to raise your children, reduces traffic speed due to fewer through roads, and a lot less noise plus increased safety since the traffic is reduced to mainly residents. 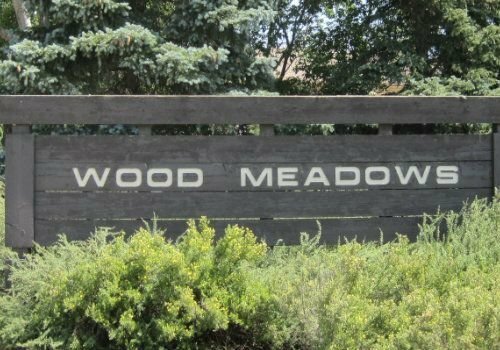 Take a look at the available Wood Meadows homes for sale found below, or learn more about this incredible East Regina community. Most of the Wood Meadows homes for sale were constructed in the 1980’s. Many of the homes have the timeless brick fronts and a double or triple garage either attached or detached that welcomes you home on a cold winter night. The yards have matured and the trees offer a welcome canopy on hot summer days. You have your choice of house styles from bungalows, to two-storey splits, bi-levels and three- or four-level splits. Wood Meadows also has a nice selection of condos. If you are looking for a bungalow-style condo, or a townhouse or apartment-style, Wood Meadows can accommodate you. Wood Meadows has two elementary schools. W.F. Ready, the public K-8 elementary and St. Marguerite Bourgeoys School is Catholic K-8 elementary. These two elementary schools back onto Ready Park giving them a huge green space for the students of Wood Meadows to play in. The Ehrlo Early Learning Centre provides high-quality childcare to families in the city of Regina and is located in W.F. Ready elementary school. On the west side of Wood Meadows is the Pilot Butte Pathway and Pilot Butte Creek. Take your children down the path for an afternoon of adventure in the park or go for a run to decompress after a long day at work. If you enjoy a quiet life style, but like to have shopping and dining choices nearby, Wood Meadows is a good place to call home. This neighbourhood is just south of the largest free-standing shopping and dining area in Regina. From big chain grocery stores to Costco or Walmart, casual eateries, to family restaurants, and finer dining, plus numerous retail stores, you will discover all your dining and retail therapy needs will be met. Are you interested in learning more about the Wood Meadows homes for sale? Please contact the Tourney Group online or call 306-789-1700 to chat with a qualified Regina real estate professional.